Three trade unions are to fight to restore workers’ rights after Bilfinger Salamis Offshore UK pulled out of a joint union collective bargaining agreement. Bilfinger have announced that they will no longer be part of the Offshore Contractors Association agreement with the trade unions, effectively leaving their workers without trade union representation when it comes to collective bargaining. The move has angered trade unions, and raised fears about the company’s future plans in terms of pay, jobs and working conditions. Unite, GMB and RMT have now written to Bilfinger Salamis Offshore UK asking for voluntary recognition of their rights to represent workers in collective bargaining. A joint union spokesperson said: “Bilfinger’s actions are causing massive concern among workers, who now have justified concerns about their future with the company. “Trade unions are the way that workers come together to support each other, and it is completely unacceptable for Bilfinger Salamis offshore workers to be left without trade union recognition for collective bargaining. “We have asked Bilfinger to enter into a voluntary agreement to recognise the three unions, but if the company refuses, we are determined to push ahead under employment law and seek statutory trade union recognition. If there is no voluntary agreement, the three trade unions say they will apply as a joint Trade Union Group under the Employment Relations Act 1999 to the Central Arbitration Committee (CAC) for the legal right to be recognised for Collective Bargaining purposes. For more information, please contact either Tommy Campbell, Unite Regional Officer on 07810157920 or Jake Molloy, RMT Regional Officer on 07711 359705 or Alan Ritchie, GMB Regional Officer on 07813 541791. Get active ! get organised ! get protected at work ! More than two thirds of oil and gas firms cut jobs last year – but there are signs the crisis may be approaching a turning point, a survey has found. The 25th Oil and Gas Survey found 67% of north east Scotland businesses had shed staff at a faster rate than at any time in the survey’s history. But a similar proportion felt the sector had reached “rock bottom” and the rate of job cuts would now slow. More than 40% had cut pay or changed benefits to cope with low oil prices. The survey, conducted by Aberdeen & Grampian Chamber of Commerce in partnership with the Fraser of Allander Institute, canvassed the views of 130 businesses, employing more than 308,000 UK staff in total. James Bream, research and policy director at Aberdeen and Grampian Chamber of Commerce, said: “We’re likely to remain in an uncertain position through 2017 and ‘the bottom’ will arrive at different times and feel different for each company. 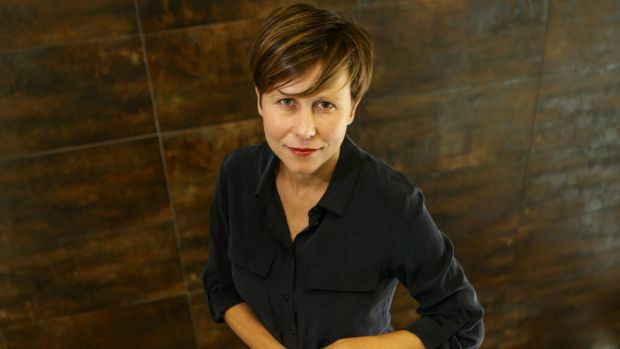 “It is clear that companies are striving to become fitter, leaner and they are working hard to look for new markets to secure their future and employment levels where that is within their control. The survey was conducted in September. Meanwhile, the UK’s oil and gas industry has claimed chemical discharges to sea and emissions to the air have continued on a downward trend over the last 15 years. Trade body Oil & Gas UK said the average oil-in-water concentration last year was less than half of the recommended limit set by the OSPAR Commission. That was despite the industry’s first increase in production since 2000. The findings are contained in Oil & Gas UK’s Environment Report 2016. Mick Borwell, health, safety and environment policy director with Oil & Gas UK, said: “The environment report comes at a challenging time for the UK oil and gas which is working extremely hard to navigate through the downturn, while maintaining environment and safety standards. “Despite the UK Continental Shelf being a mature basin with technically challenging production, the overall trend for the last 15 years is downwards for discharges, emissions and accidental releases. Put simply, we are using the same amount of chemicals and emitting less CO2 in the production of more oil and gas. If you work offshore in the Oil& Gas Sector, Get Protected at work , Join a Trade Union today . Tax avoidance by multinational oil and gas companies – and the rigour with which the federal government ensures they pay a fair share for the offshore riches they exploit – will be put under the spotlight of a Parliamentary inquiry. Big companies can get very creative with their tax avoidance strategies, including global resource giants Chevron and Shell. The ability of companies to reduce their liabilities through billions of dollars in deductions on operating and capital costs was laid bare by the federal Auditor-General in a damning report on Monday. Labor will move to include public hearings into the PRRT and royalties system into the existing corporate tax avoidance inquiry by the Senate’s Economic References Committee. After a partyroom discussion, the Greens moved to establish a stand-alone inquiry by the same committee to report by midway through June next year. Terms of reference for the Greens’ proposal includes the “adequacy and integrity of the existing PRRT and Commonwealth royalty regime” and compliance with those schemes. “Responsibilities and effectiveness of state and federal government departments in administering the existing PRRT and Commonwealth royalty regime,” would also form part of the inquiry. Mr Hehir’s report revealed a hands-off approach taken to enforcing the royalty take from the North West Shelf, with state and federal bureaucrats basically allowing the operating company – a partnership between Woodside, BP, Chevron, Shell and BHP Billiton, to self-assess its liabilities. Labor senator Jenny McAllister said the Auditor-General had raised “serious questions about the efficacy” about the collection of royalties. “This issue needs proper examination – and Labor will use the inquiry into Corporate Tax Avoidance to do that,” She said. But Greens senator Peter Whish-Wilson insisted the system had failed under governments of both stripes over decades and must be investigated thoroughly. “It looks like Australians might be being fleeced for hundreds of millions in dollars in oil and gas royalties because Liberal and Labor Governments have either been asleep at the wheel for the last two decades, or they don’t see tackling their big corporate backers as a priority,” he said. “These aren’t your traditional tax avoidance issues that Parliament has been looking at over recent years. Separately on Tuesday, Treasurer Scott Morrison released more detail on the government’s proposed diverted profits tax, part of a $200 million crackdown on profit-shifting multinationals. The Australian Tax Office will be able to impose a penalty tax rate of 40 per cent on arrangements that are caught in breach of the rules once the legislation – still in the exposure draft stage – passes Parliament. 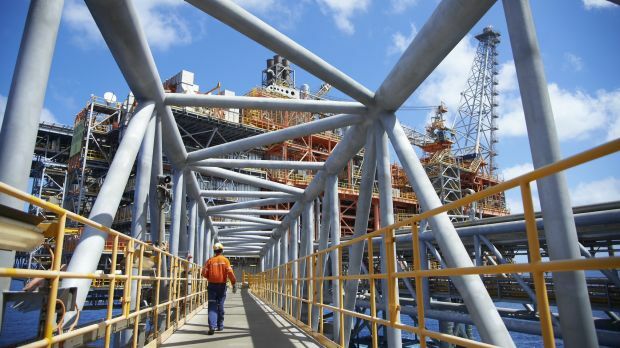 Fairfax Media has revealed over recent months that just 5 per cent of 150 oil and gas ventures are paying any PRRT, despite Australia being poised to eclipse Qatar as the world’s single biggest exporter of LNG by 2020. The industry has built up a mountainous $187 billion in exploration and development tax credits, which continue to rise sharply and will be used to insulate the multinational petroleum companies from having to pay any resource rent tax for years to come. According to a Treasury briefing to the Western Australian government, it could be decades before projects such as Chevron’s Gorgon LNG plant and others pay a cent in PRRT. Among the concessions accumulated by the industry since the PRRT’s imposition under Labor is a write-off for “frontier exploration” in deep water that allows a company to claim 150 per cent of exploration costs back from the Australian Tax Office. In 2010, Ken Henry’s review of the tax system raised concern about the PRRT’s “failure to collect an appropriate and constant share of resource rents from successful projects due to uplift rates that over-compensate successful investors for the deferral of PRRT deductions”. Paddy Crumlin, president of the International Transport Workers’ Federation, which has pursued the PRRT issue, welcomed the renewed political focus. “Any move from within the Parliament for greater scrutiny and transparency on a tax which is demonstrably failing to deliver appropriate benefits to the Australian people is a positive step,’ he said. Five people were killed after their helicopter crashed into the sea during an offshore rescue operation. The helicopter was sent out to medevac an offshore worker suffering from cardiac arrest on board the Amir Kabir offshore platform shortly before the tragedy unfolded. The helicopter owned by the National Iranian Oil Company (NIOC), crashed into the Caspian Sea early Sunday off the coast of Behshahr City in the east of Mazandaran province in Iran. Iran’s official IRNA news agency said the crash was caused by a technical malfunction. The news agency quoted a Behshahr governor Khalegh Sajadi as saying the helicopter “disappeared half a mile from the oil rig on its way back”. The Amir Kabir Platform is located 137 air miles off the Iranian Coast and extracts oil from water depths of over 1,000 metres. It is understood the victims all worked for NIOC subsidiary Khazar Oil Exploration & Production Company. The patient, a health worker and three helicopter crew members lost their lives in the accident. Air accidents are not uncommon in Iran, and are believed to be caused by poor maintenance and ageing aircraft.This is the second helicopter crash this year in Mazandaran; first was an emergency helicopter dispatched to an accident on the Haraz Road, crashed into high voltage power cables due to poor visibility caused by thick dust while it was trying to land. Unite the union convey their deepest sympathy and condolences to all affected by this tragedy,another helicopter incident where oil workers have lost their lives or received injuries at work. As you will all be aware the high standards of Health & Safety and procedures in the UKCS offshore Oil &Gas sector is no accident ! Offshore trade unions(OCG) are at the forefront to ensure the highest standards of training and health & Safety are undertaken by all who work and travel in helicopters and work with the stakeholders in the Industry to ensure the highest of standards are maintained. The Offshore Coordinating Group of offshore unions (UNITE, RMT, GMB, Nautilus International and BALPA) was launched in February 2016. • co-ordinate the recruitment and organisation of all employees in the offshore oil and gas industries and thereafter to seek recognition on their behalf. • campaign to improve both the quality and security of employment in the offshore sector and the health, safety and wellbeing of all offshore workers. • organise and pursue effective campaigns on issues identified by the Group in the interests of the offshore workforce. • organise and articulate the collective trade union voice in strategic discussions with Government at all levels, regulators and employer organisations. NO-ONE takes industrial action lightly. For the last two years our members at the oil and gas company Wood Group have dealt with redundancies and cuts to their wages and conditions — all without taking strike action. But the prospect of losing up to 30 per cent in pay and allowances was simply too much to bear and our members at Wood Group took part in the first offshore strike for a generation in the North Sea. An agreement was eventually reached with Wood Group. I pay tribute to our officers, stewards and members who stayed united, strong and determined during a difficult time and all who supported the workers taking strike action offshore both here in the UK and worldwide. The dispute might be over but questions are still raised about the future of the oil and gas industry in Aberdeen and across Scotland. Unite knows that North Sea operators are facing challenges due to falling oil prices. But companies have to realise that they can’t prop up their profits — or create a sustainable industry — by simply attacking the skilled workers who are the bedrock of their success. And they should never — ever — make cuts that threaten health and safety and put the lives of our members at risk. The lessons of the Piper Alpha disaster of 1988 — when 167 offshore workers and rescuers died, causing continuing grief and loss for families across the country — should never be forgotten. Energy companies need to work with their staff to protect health and safety and build for the future. We cannot simply have a race to the bottom, with companies competing with each other to slash pay and conditions and turn livelihoods upside down. It’s bad for the industry. It’s bad for our members and it’s bad for the wider economy that relies on their income — especially in the north-east of Scotland. But we recognise that industry and unions can’t do this alone. We need government to take a much more active role in dealing with the major issues facing the North Sea. We need a clear, workable strategy for decommissioning. If workers here are to have any chance of benefiting from the removal and safe disposal and recycling of oil and gas infrastructure, we need the industry and government to put in proper investment and to ensure that companies co-operate and come up with business models and supply lines that work. That simply has not been the case up until now. The result has been lost opportunities — as shown in August when Maersk granted a Norwegian port the contract to decommission its Janice Floating Production Unit. And there have been scandals, like the recent news that a huge tanker owned by Maersk — instead of being properly decommissioned — had been found lying rusting on a beach in Bangladesh. So there are opportunities in decommissioning — but we also need to concentrate on taking advantage of the opportunities that are still available for new exploration. Last month (October 19), the Oil and Gas Authority (OGA) published research on the potential of small pools of oil and gas in British waters. The OGA estimated that there was an equivalent of more than three billion barrels of oil untapped underneath the continental shelf, and described it as a “very significant opportunity.” This shows that there is potential for a new lease of life for the offshore industry in Scotland. Companies should be encouraged to use their existing rigs and pipelines to recover pools wherever that’s possible. However, a number of these small pools lie further away and will need new stand-alone solutions. Our governments at Holyrood and Westminster could use their borrowing powers to take out public stakes in new offshore infrastructure. When oil and gas was first discovered in the North Sea, we missed an incredible opportunity to create an oil fund like Norway — a resource that will support public investment and infrastructure for generations to come. Norway’s fund is now worth over $873 billion. We can never match that, but taking out public stakes in new oil and gas opportunities in our waters would encourage companies to invest, would support jobs and would create returns for the public purse as the oil and gas from these pools begins to flow. In July, we said that the British government’s Oil and Gas Workforce Plan was woefully inadequate and fell short of arresting a decline in the industry which has led to over 120,000 jobs being axed in the past few years. We have repeatedly called for a summit of key industry figures and ministers from the Scottish and Westminster governments to hammer out an action plan to save the offshore oil and gas industry. Our members are not short of ideas for the future of their industry. We need energy companies and governments to match their creative thinking and work alongside them for everyone’s benefit. MINISTERS must part-nationalise North Sea oil and gas infrastructure or risk the collapse of the industry, workers warn today. A new study of more than 800 offshore workers found that just 55 per cent saw a future for the sector — and only if there is government intervention. Some 24 per cent said they could see no future for the offshore sector at all. And nearly 90 per cent said the Scottish and Westminster governments should buy up pipelines and platforms. General union Unite, which carried out the survey, said ministers should use borrowing powers to buy up assets. “The message from our members and other offshore workers in this survey is clear,” Unite Scottish secretary Pat Rafferty said. “Unless government starts to come up with some new thinking for the oil and gas industry, the future is looking very bleak. The North Sea offshore industry has been in jeopardy since the collapse in the global oil price in the winter of 2014-15. Fellow offshore union GMB warns today that taxpayers’ are likely to foot an increasing financial burden for North Sea decommissioning. GMB Scotland secretary Gary Smith said: “If we don’t act fast, then it could mean the worst of all worlds — a chance to boost economic and employment prospects gone and the taxpayer paying for the cleanup of the North Sea while other countries profit from decommissioning at our expense. In the Unite survey, 83 per cent of workers had seen a reduction in skilled personnel. The finding follows years of warnings that the sector’s workforce is ageing. On the eve of the government’s Autumn Statement on Wednesday (November 23), Unite has revealed the necessity of immediate state intervention following a survey of the offshore workforce which found the vast majority of oil and gas workers foreseeing a bleak future for their industry. Nearly nine in 10 of the 779 surveyed backed Unite’s call for government support of the industry — more than half said they saw no future for oil and gas in the UK unless the state took steps to help. Worryingly, almost one in four surveyed had a much more pessimistic outlook — reporting that they saw no future in the sector at all. Those who took part in the survey almost unanimously agreed that both the Scottish and UK governments were not doing enough to support the beleaguered offshore sector, which has been in crisis over the last year after the price of oil plummeted. It is estimated that by the end of the year, job losses could total an astonishing 120,000. The oil and gas workers surveyed by Unite are well attuned to the ups and downs of the industry — some 60 per cent of workers in the survey have been in the industry for more than 10 years, and 35 per cent for over 20 years. Unite Scottish secretary Pat Rafferty pointed to these numbers as proof that the government should take heed. Prime minister Theresa May’s speech to the Confederation of British Industry (CBI) this morning (November 21) dashed hopes that she was serious about formulating an industrial strategy that understood the importance of long-term investment in sectors vitally important to the UK economy — of which oil and gas is an integral part. She has again refused to outline what, specifically, her industrial strategy would entail, saying only that it was “not about propping up failing industries or picking winners, but creating the conditions where winners can emerge and grow”. Her U-turn on having worker representatives on company boards in her speech this morning was another indication that workers’ views would not be taken seriously. Rafferty argued that the message from members in the offshore survey was clear. “Unless government starts to come up with some new thinking for the oil and gas industry, the future is looking very bleak,” he said. “We have made repeated calls for a summit to bring together energy companies, trade unions, the Scottish government and the UK government, so that we can start planning for the future. It’s never happened, and we just can’t understand why. “We have repeatedly called on the Scottish government and the UK government to consider using their borrowing powers to take out public stakes in new offshore infrastructure, and to help protect existing infrastructure that might otherwise be decommissioned,” Rafferty added. “We believe public stakes would encourage companies to also invest, supporting jobs, and creating returns for the public purse in the future. “We are in the middle of a crisis, and unless there is action soon we could be approaching a point of no return. That would be devastating for the Scottish economy, particularly in the north east,” he noted. “Offshore workers are the people worst affected by this crisis – with attacks on their working conditions and as many as 120,000 jobs in the industry and wider economy forecast to be lost by the end of this year. 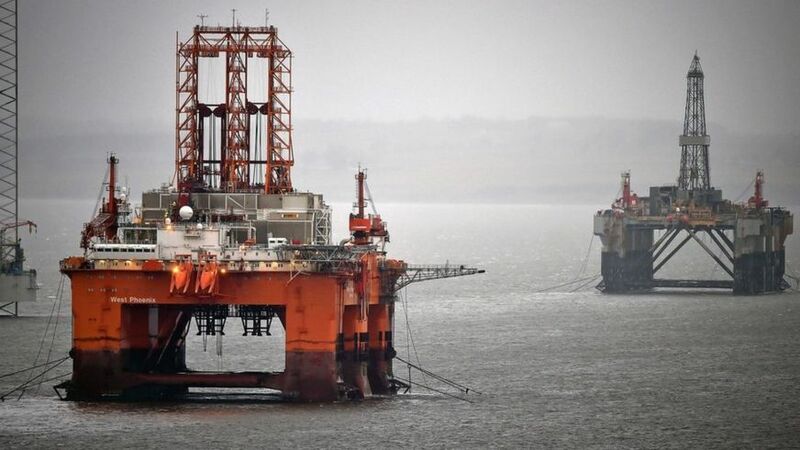 Earlier this month, North East Scotland Labour MSP Lewis Macdonald put down aScottish Parliament motion calling on the Scottish Government to facilitate discussions with the UK Government, industry and trade unions to create a plan for co-investment in the offshore industry. The motion has now obtained cross-party support. Commenting on the motion, Macdonald said Scottish Labour has called for the “creation of a new public body, UK Offshore Investment Limited (UK OIL), to identify areas for temporary public investment. “UK OIL would work with the Oil and Gas Authority to identify strategic assets that are potentially profitable,” he noted. “That would help to prevent platforms and pipelines being lost earlier than planned, and potentially help fund new ones for the future. Scottish Labour’s Westminster spokesman Ian Murray agreed, noting today that strategic assets must be protected by public investment. “Once these assets are gone they are gone for good, with all the benefits they bring to Scotland’s economy,” he said. Unite said that research published last month by the Oil & Gas Authority shows potential for a new lease of life for the industry, with an estimated equivalent of 3bn barrels of oil in untapped small pools around the shores of Scotland. Unite’s survey also found that 83 per cent of workers had seen a reduction in skilled personnel, which has created issues around productivity and the ability to perform work tasks. “This is an incredibly worrying finding,” Rafferty argued. “Energy companies have to realise that they can’t prop up their profits – or create a sustainable industry – by slashing the jobs of the skilled workers who are the bedrock of their success. Find out more about how you can support the oil and gas workforce here.